Wrong. 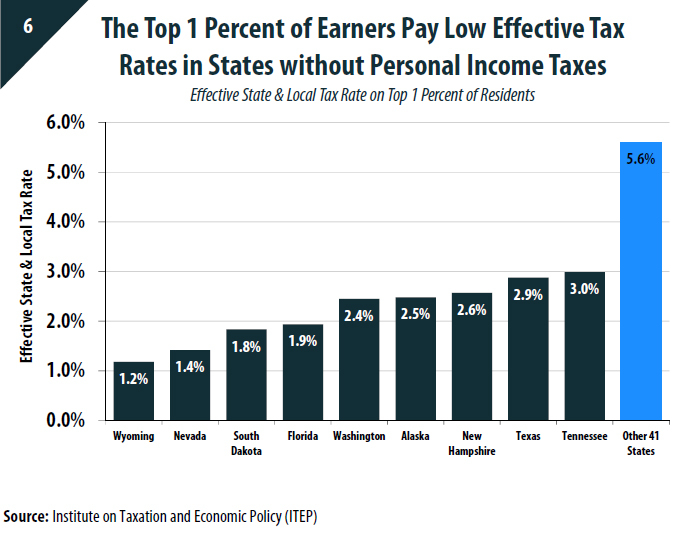 According to the Institute on Taxation and Economic Policy (ITEP), a D.C. think tank that studies state tax policy, Wyoming’s wealthiest residents pay the lowest tax rate in the country. 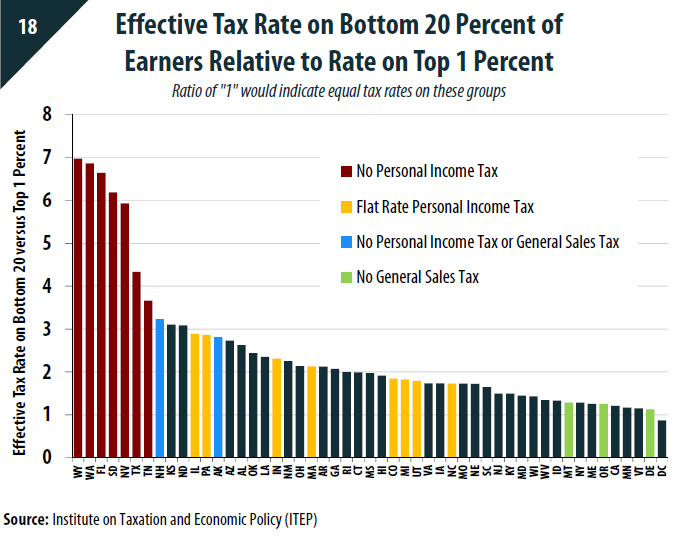 Meanwhile, people at the bottom 20 percent of Wyoming’s shaky economic ladder pay taxes at seven-times the rate that the top one percent of earners do. That’s the largest tax rate discrepancy between rich and poor in the United States.